An empathy to action film campaign in response to the tragic events in New Zealand, and the ongoing global violence against marginalized communities. Mehrin, like any other teenage girl tries to navigate her way through high school. Once the scarf is on, she’s deemed a stereotype. 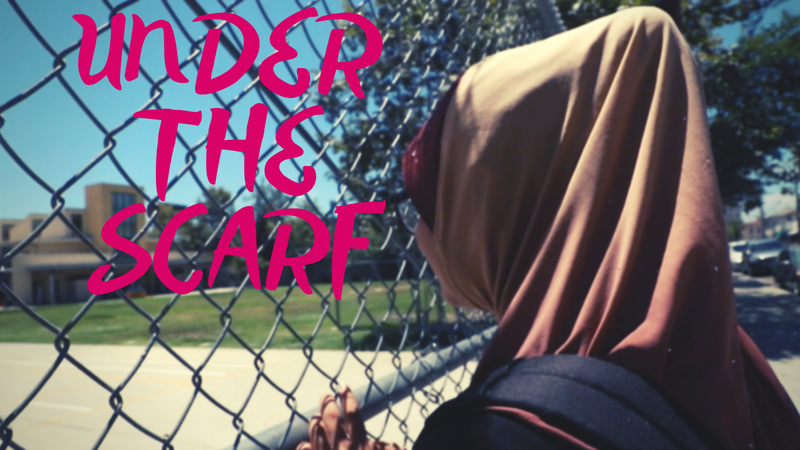 This film is one of four short social impact documentaries created in the Global Girl Media + Women’s Voices Now Summer Training Program during 2018. When it comes to the Muslim community, what kind of stereotypes do I encounter in the news and on the street? Do I fear people who look differently than myself or hold belief systems other than my own? If so, what am I afraid of? How often do I interact with people who do not come from my everyday community? 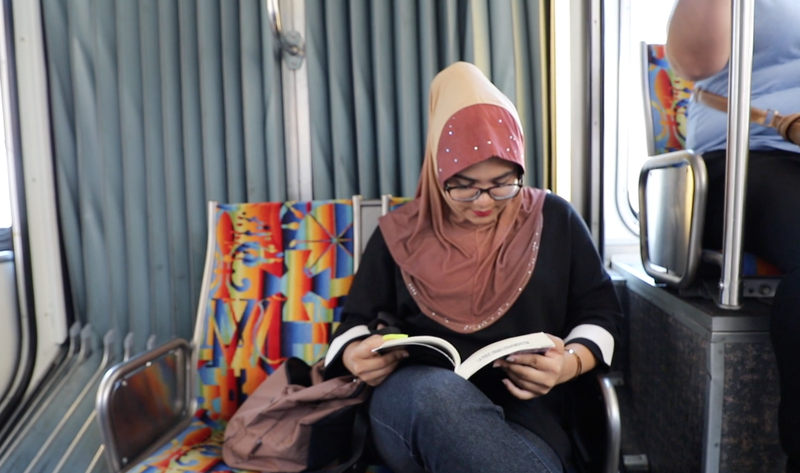 In the film Mehrin states, “When I wear hijab I can feel so many people being uncomfortable, even if they don’t mean to be…I always feel like I’m going to let someone down because I’m wearing a hijab. I feel extra responsible for everything that I do.” What do you think Mehrin means when she says this? While Mehrin talks about certain advantages to living in the United States, she also questions how the country can claim to be free amidst discrimination against immigrants, including the Muslim Ban. What does freedom mean to you? What does freedom look like in our schools, in our places of worship, and in our communities? How, by hearing stories first hand, can we create empathy between people that are different from one another? Has this film changed your perception of anyone in your life, including yourself? Can you think of a time where you were uncomfortable around someone because they seemed different from you? What were your underlying feelings and how might you act differently now? What can you do to be more inclusive to those who may seem to be different from you or the people you know? 3. Check out interfaith dialogue organizations in the RESOURCES section below. Expand your circle of friends — if you don’t have any Muslim friends, make some. Women’s Voices Now (WVN), a 501(c)(3) non-profit organization, advocates women’s rights by using the power of social impact film to influence media and culture. We carry out our mission with a free streaming archive of international women’s rights based films, our annual online film festival, educational programs, screening events, our digital publication, multimedia workshops and trainings, and a film fiscal sponsorship program. As a non-governmental organization with special consultative status to the United Nations Economic and Social Council (ECOSOC) since 2017, our work is internationally recognized as impacting the following UN Sustainable Development Goals (UN SDGs): increasing good health and well being (SDG3); providing quality education (SDG4); promoting gender equality (SDG5); working toward reduced inequalities (SDG10); establishing peace, justice and strong institutions (SDG16); and establishing partnerships to achieve the SDGs (SDG17). To republish an article from The WVoice in its entirety or as a derivative work, you must attribute it to the author and Women’s Voices Now, and include a reference and hyperlink to the original article. If you would like to contribute to The WVoice, please review the Submission Guidelines. Women's Voices Now is a non-profit organization that uses the medium of film to advocate for global women's rights. We move audiences from empathy to action.